Saturday May 4th, 2019 is the 8th Annual Chicken Day. There will be a Marching Band Parade, Drum Line, Cotton Candy, Face Painting for the Kids, Several Balloon Releases, Dance Competition from 4 dance groups, plenty of food, surprise guests and much much more. 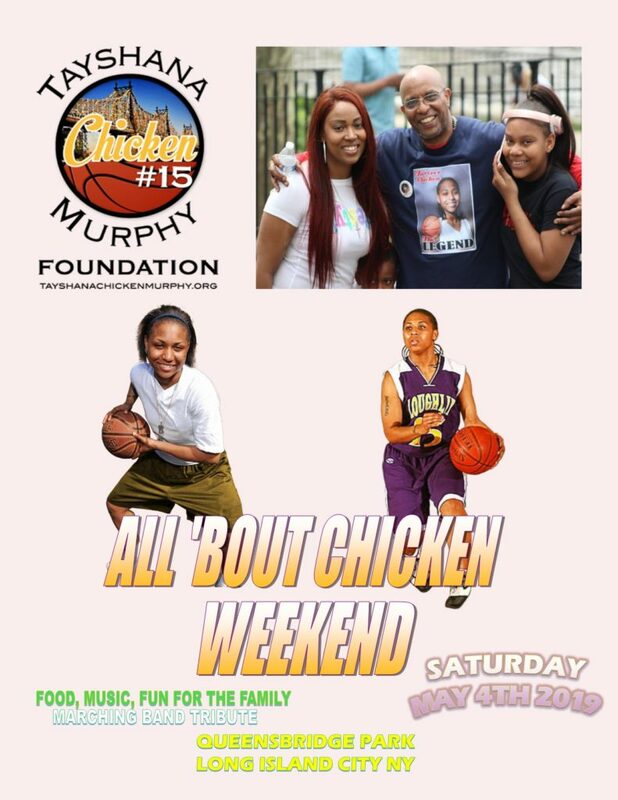 If you would like to support All 'Bout Chicken Weekend please sponsor the Tayshana "Chicken" Murphy Foundation at gofundme.com/tayshanachicken . 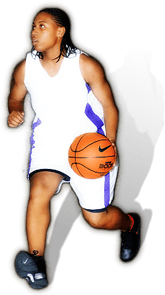 Also sponsors email contact@tayshanachickenmurphy.org to support All 'Bout Chicken Weekend. 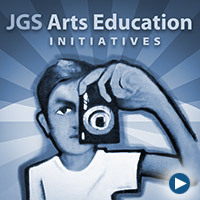 Save the Date, Saturday, May 4th 2019, 10am to 8pm, QueensBridge Park, 40-50 Vernon Blvd, Long Island City, NY 11101. 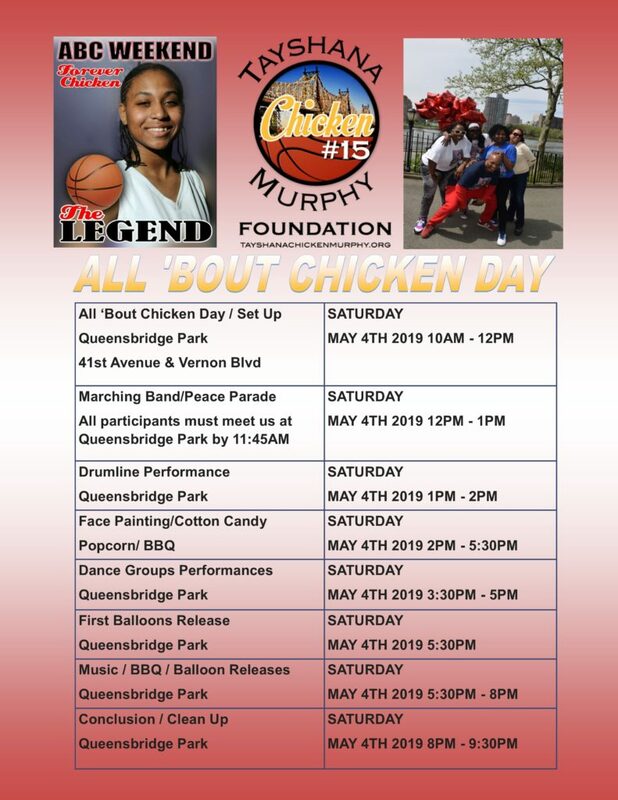 So come out and enjoy the festivities as we celebrate Chicken’s Life and Legacy. Chicken We Miss You.